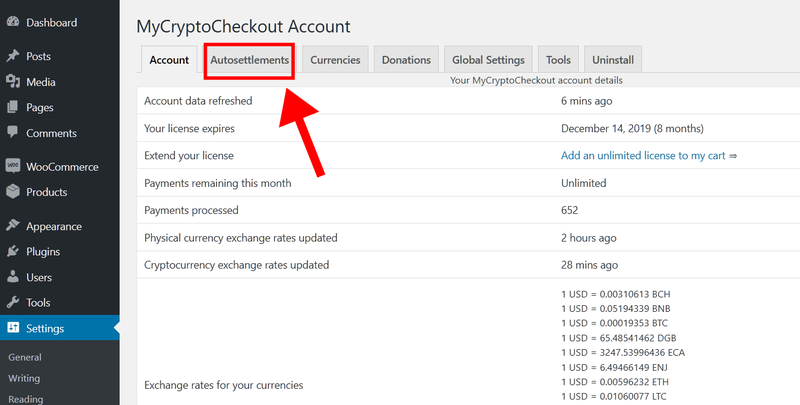 Autosettlement is a feature that enables you to connect MyCryptoCheckout to exchanges and automatically market sell any received cryptocurrencies you specify into Fiat or Stablecoins (USD, USDC, USDT, TUSD). The sell will credit funds to your wallet on the exchange. This is a great tool for people who want to accept bitcoin/altcoins but prefer to cash out immediately to avoid volatility. 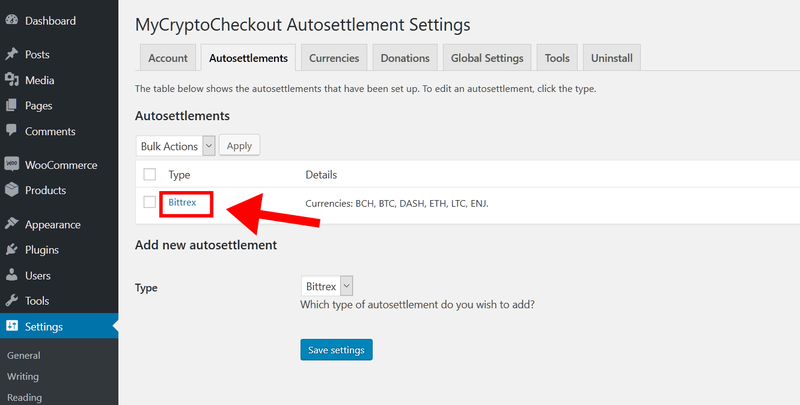 2) Click into the Autosettlements tab. 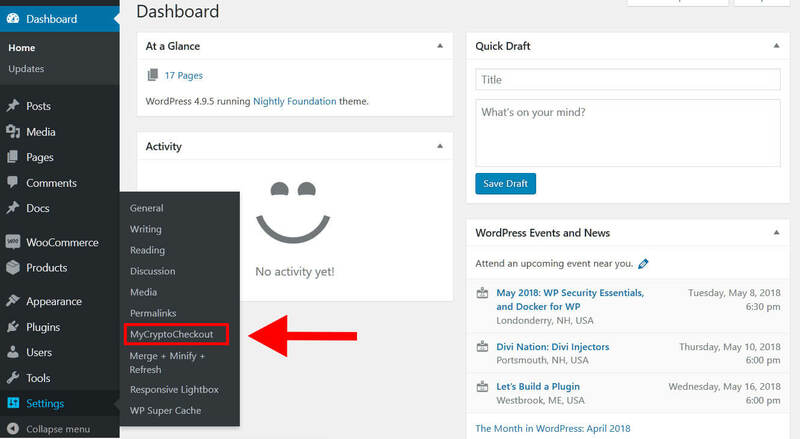 3) Select the exchange you wish to connect to and click save settings. 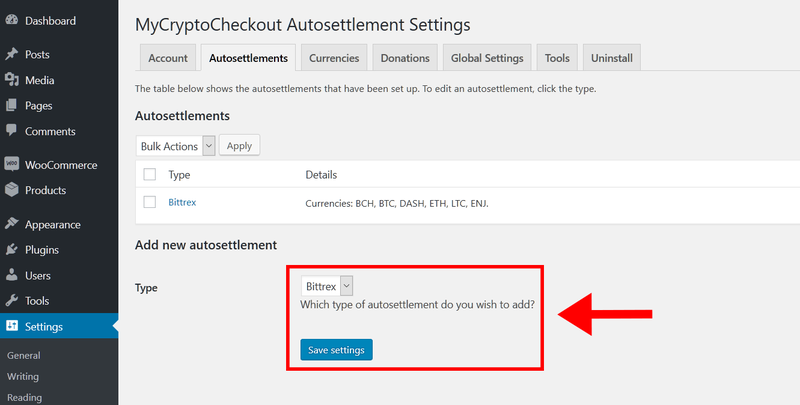 You can setup multiple autosettlement types, and use different exchanges for different coins. 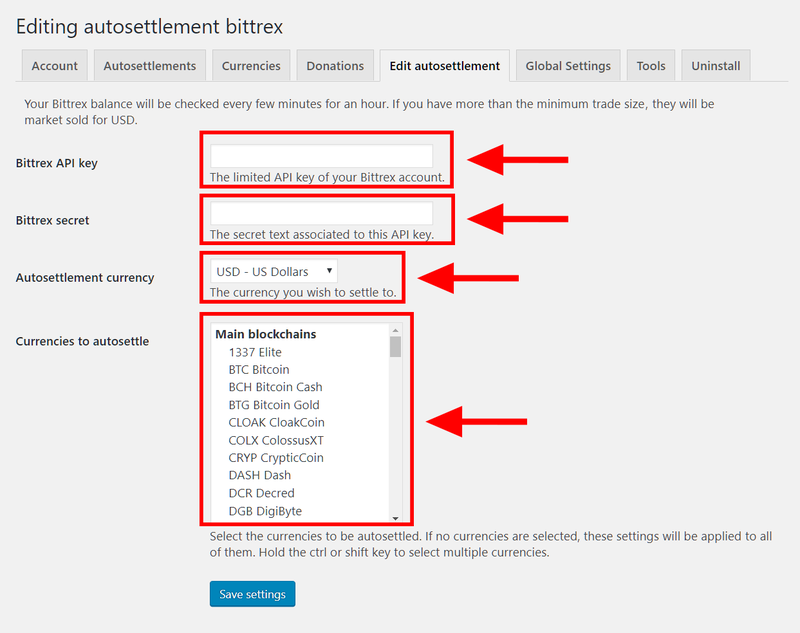 4) To edit an autosettlement, click the type link. Then choose the fiat or stablecoin currency you want to autosettle into. Lastly choose currencies you wish to autosettle. NOTE: Make sure you have added the wallet address(es) to the respective exchange(s) when setting up your wallets. 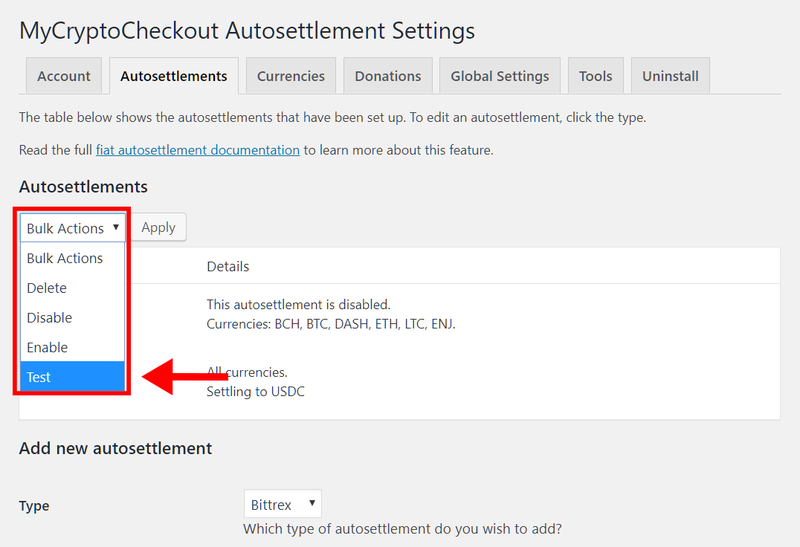 6) Back on the main Autosettlements tab, you an now select settlement types that have been created and choose to delete, disable, enable, or test them. Testing will output various information including: connection status, currency types, balances, addresses, and more.